Tring is a small market town in Hertfordshire with a population of around 12,000 people. The name is believed to be derived from the Anglo Saxon 'Tredunga' or 'Trehangr'. It essentially means 'a slope where trees grow'. It sits at a low point in the Chilton Hills known as the 'Tring Gap' which has been used as a point to cross the chalk escarpment since ancient times. The Manor of Tring is first mentioned in the Domesday book, but it was in 1682 when the current country house, Tring Park Mansion, was built to the design of Sir Christopher Wren for Sir Henry Guy. It is widely believed that Sir Henry used his position as Secretary of the Treasurer to subsidise the building of the mansion. He was subsequently sent to the Tower (Tower of London) for accepting a bribe. i herd the news today. oh boy. 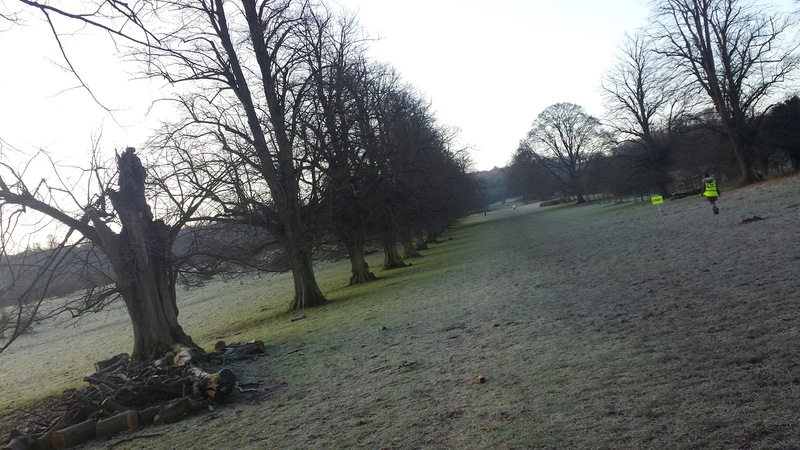 During the 1720s the grounds were landscaped and included the addition of many of the avenues that are present here. Around this time, a summer house and an obelisk were designed and built. All that remains of the summer house is its impressive pillared entrance, and there is some mystery around the purpose of the obelisk, although local lore says that it commemorates visits by Charles II and his mistress Nell Gwyn. The 3,643 acre (14.74 square kilometres!) estate was bought by the Rothschild family in 1872 and many structural alterations of the mansion were subsequently made. As a 21st birthday present for the eldest son, Walter, who was a keen scientist and natural historian, the family built a museum for him to keep is growing collection of zoological specimens and this was called the Walter Rothschild Zoological Museum. The museum is now part of the National History Museum and is open to the public (free entry). In 1938 the vast area that was the 'Tring Park Estate' was divided up into and sold off. The mansion still stands and now houses 'The Tring Park School for the Performing Arts' which has quite a notable list of former pupils. The interior of the mansion was used in the 2015 Avengers: Age of Ultron movie [the Russian ballet school dream sequence] which also featured two of the school's pupils. In the mid-nineteen-seventies the A41 (Tring Bypass) was constructed and this sliced its way through the old mansion grounds. With the mansion on the northern side of the road, the area to the south of the new road was sold off and is now a public park. Both the northern and southern areas are still called Tring Park (to make things even more confusing, the school is also known as Tring Park), but it is the southern side that I am referring to from here onwards. Tring Park has been grade II listed by English Heritage. 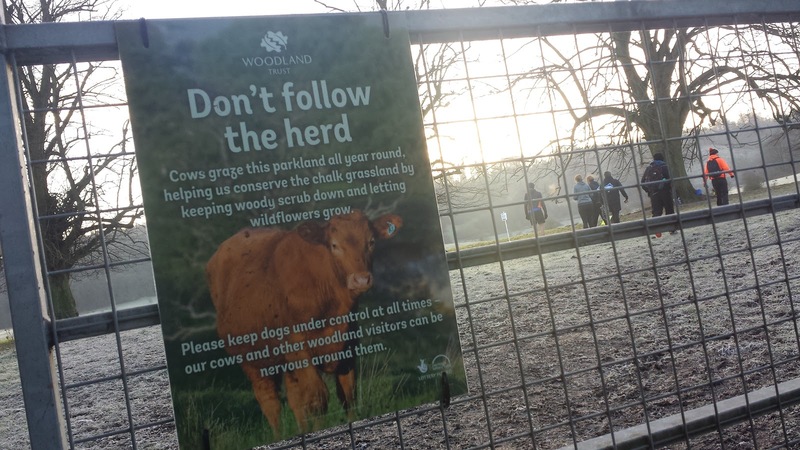 It covers an area of 264 undulating acres of chalk grassland and woodland, and about half of the land is home to a herd of cows which roam and graze freely. It is also one of Hertfordshire's most important habitats for wildlife including the rare Purple Emperor butterfly. It is owned by Dacorum Borough Council and since 1993 has been maintained by the Woodland Trust. 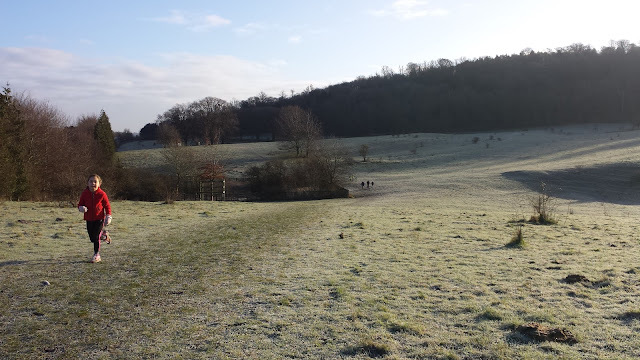 It is part of the Chilterns Area of Natural Beauty and is a Site of Special Scientific Interest. 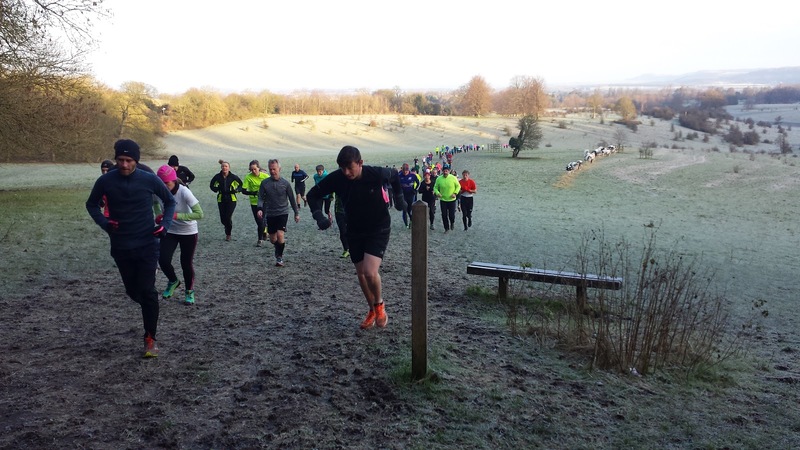 On 1 November 2014 it became home to Tring parkrun. 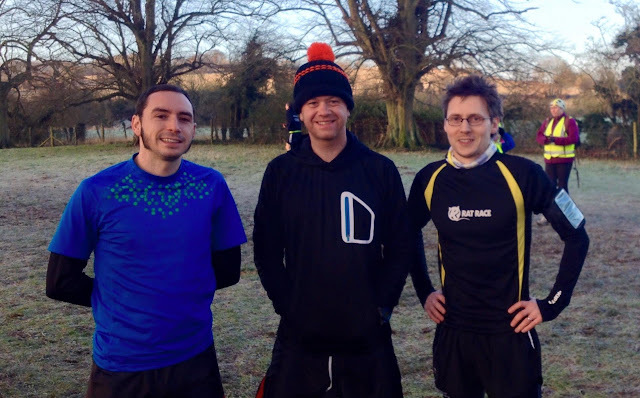 I visited this venue on a very cold, frosty January morning with some fellow members of the Dartford parkrun core team, Richey and Adam. 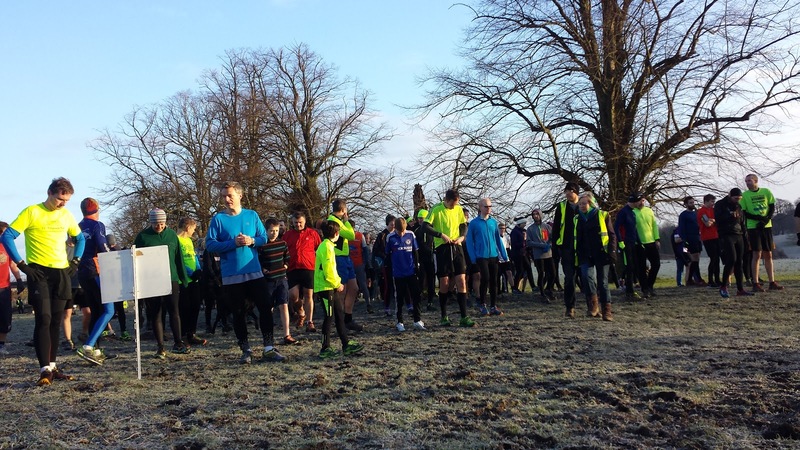 It was event number 68 and there was a turnout of 170, this was higher than their average attendance which currently sits at 124.9. If you'd like to see my GPS data (hill profile etc) you can view it on Strava via this link: Tring parkrun. 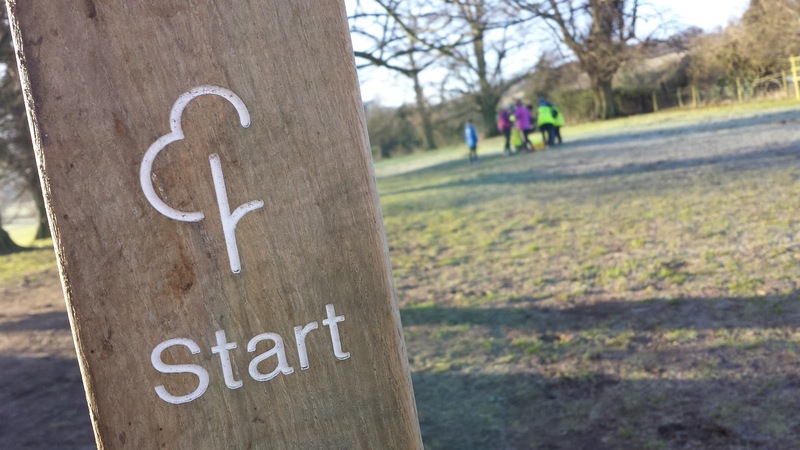 When arriving at Tring Park by car, there is a free car park (Hastoe Lane Car Park) that opens at 8.30am which is situated just off the Hastoe Lane on the northern side of the A41. 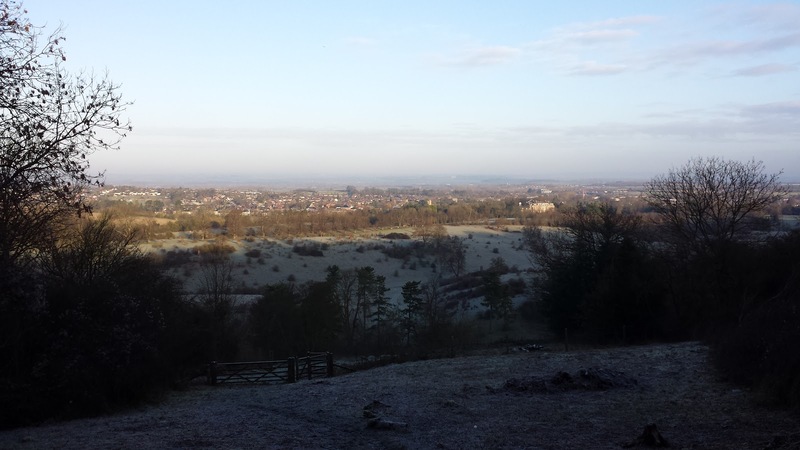 Should you require parking any earlier (or if the padloack on the gate is frozen solid!) then you'd be looking at trying to find a spot at the northern end of Hastoe Lane or heading into the centre of Tring where there are a further 3 car parks; these are free for up to an hour or 90p for up to two hours. The official Tring parkrun course page does ask that runners avoid blocking local streets when parking, so please be respectful of this if visiting. 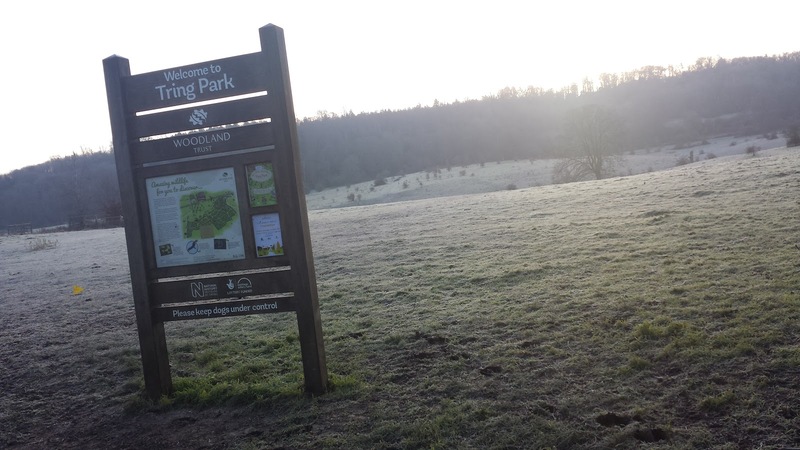 For other travel options, there is a train station at Tring, it is to the east of the town and is approximately 3.5km (by road) away from the park itself. There is also a bus (the Arriva 500 service) that passes close to the venue. Bicycle racks are avaialble for use in the Hastoe Lane Car Park, but I suspect you could also wheel it over to the start area if you'd prefer to leave it in sight. Access to the park from the centre of Tring (and the car park) is via a footpath and a pedestrian bridge which crosses the A41 and the meeting area for the parkrun is just on the other side of the bridge in the avenue of trees called Lime Avenue - the avenue itself actually starts on the northern side of the road, but was split in two by the construction of the road. A notable point here is the lack of toilets in the park, so we had a brief pit-stop at the Forge Street car park where a block of public toilets is located (open from 8am) before proceeding to the Hastoe Lane. The run takes place over one 5km lap of the park. Underfoot you'll find a mixture of grass and dirt paths, and in the winter lots of mud (unless it's frozen like it was when we visited). 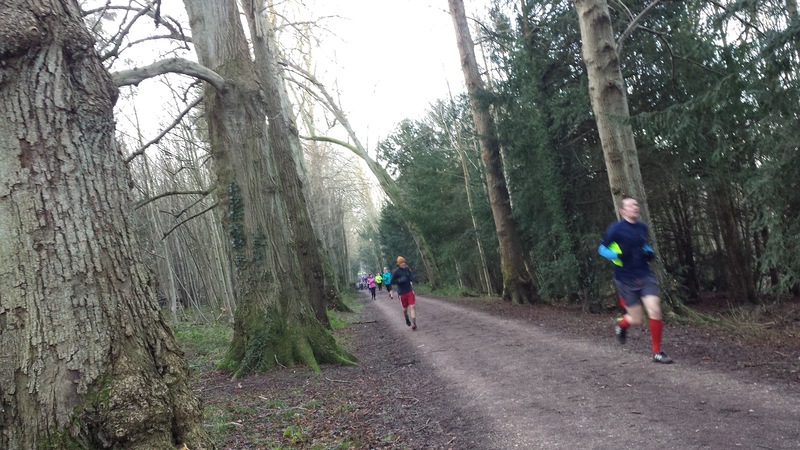 It's definitely a course for trail shoes and the majority of buggy runners might choose to avoid it especially in the winter (but not Harry Bryant, the day's run director, who must find the course a little easy so adds a little extra challenge!). 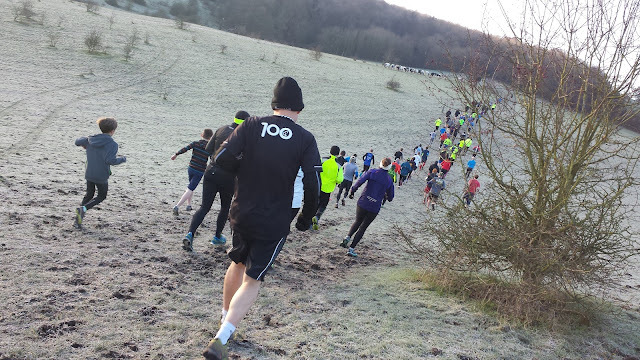 About half of the run (including the start and finish) takes place within the area that the cows live in, so there is always the chance that you could have a close encounter of the bovine kind. From the start point in Lime Avenue, the runners head off into the park. Upon reaching the end of the line of trees and entering open grassland, the route follows a dip down into a valley where I caught my first glance of the cows (all standing in a line having a breakfast of frosty grass). Now, remember earlier I mentioned that the original meaning of Tring was 'a slope where trees grow? Well, at this point of the run, you will find out exactly what that means! 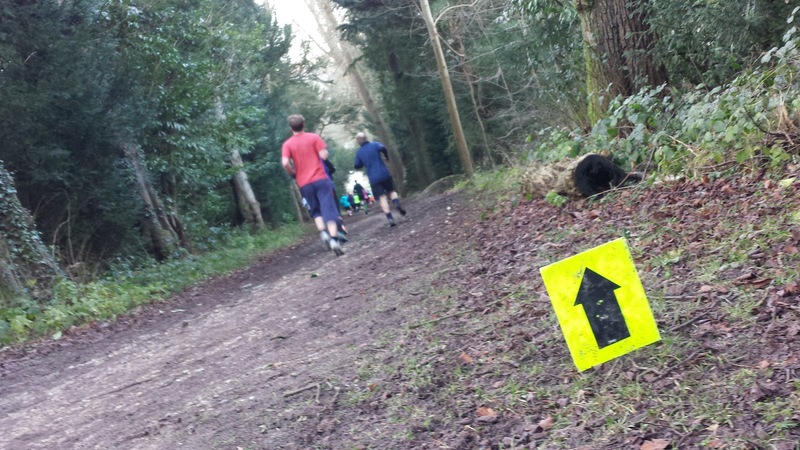 Up you go, and through a marshalled gate (listen for the cowbells) into the woods where the path zig-zags and gets a little steeper. Up and up through the trees until you reach the top of the escarpment (scarp) and see the 1km marker. 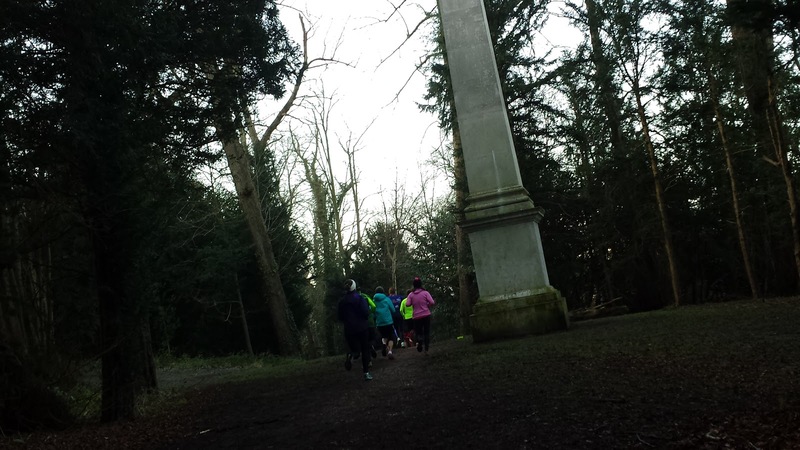 The next mile or so is run along 'King Charles Ride' which follows a gentle roller-coaster style path along the ridge of the scarp. Every now and then you can look to your left to see stunning views across Tring and into Buckinghamshire. The path continues all the way to the most easterly point of the course where you'll pass the Summer House and then the Obelisk as you start to gradually descend before finally going through another marshalled gate (again, listen for the cowbells!) and popping out onto the open grassland again. 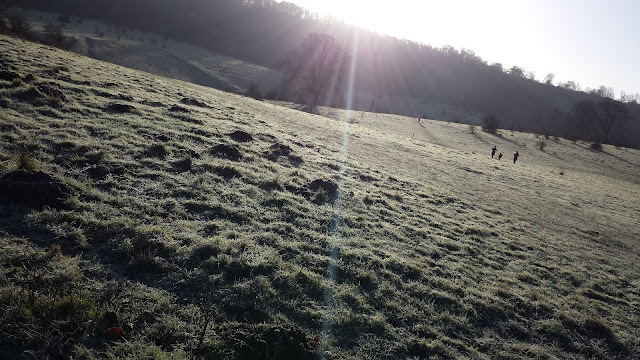 Usually at this time of year the grassland would be quite muddy underfoot, but on our visit the ground was frozen solid which meant lots of ankle-twisting hoof shaped holes in the ground to watch out for. The remainder of the run is over the undulating grassy fields. In Walter Rothschild's day you would have seen zebras, emus and kangaroos here, but today this area is home to just the cows. The course twists around and at 4km actually passes within reaching distance of the finish area. 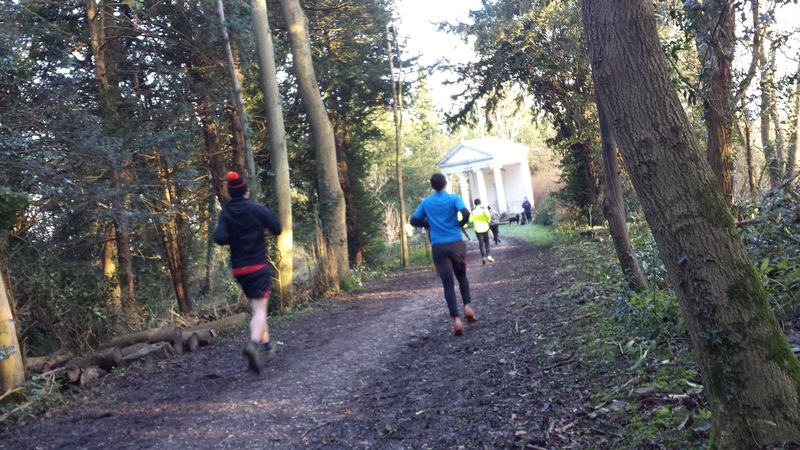 You then carry on weaving around the grass fields until reaching the final, and possibly hardest, of the undulations which brings you out at the end of Lime Avenue where you now run the opposite way along it right down to the end to find the finish line. 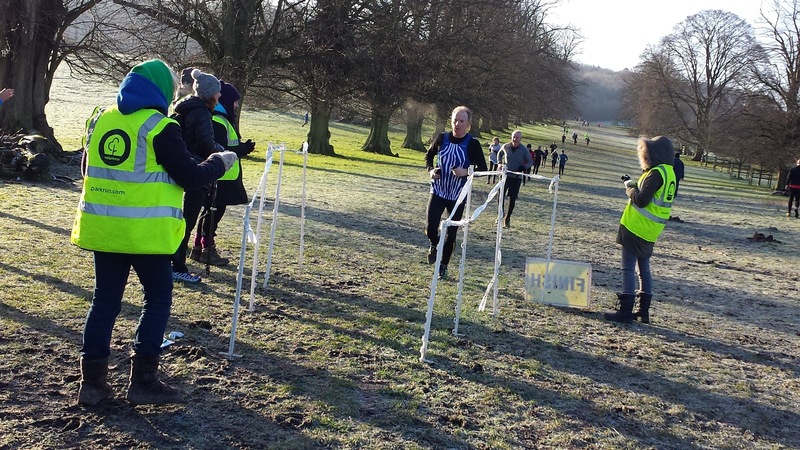 Barcode scanning takes place right next to the finish line and of you think you may have run a new personal best you can pick up and ring the PB bell! After milling around and cheering on the remaining runners, we decided to head over to the post-parkrun coffee venue - The Akeman, which is a pub or bar or coffee shop or restaurant. Actually I'm not sure what it is, but they have really nice coffee and super-sized cookies! Before leaving we spent a long time talking to the Event Director about all things parkrun and we headed back to the car feeling extremely chuffed that we had found an absolute corker of a parkrun venue. 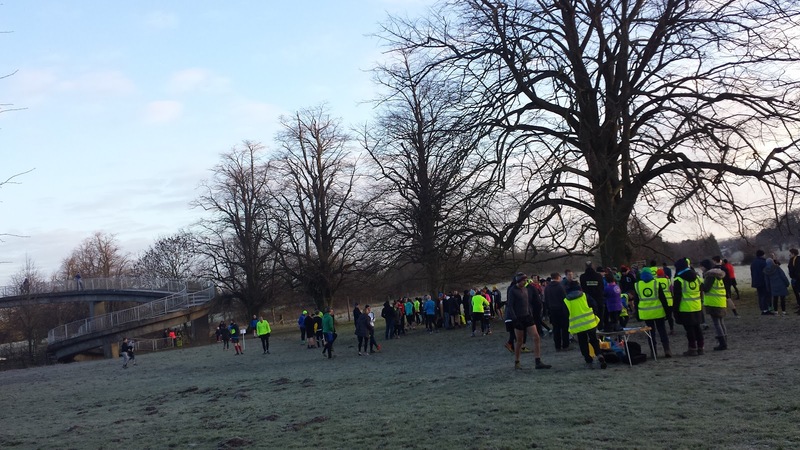 If you haven't visited Tring parkrun, then put it on your to-do list. No. Wait. Put it on your Must-Do list. You won't regret it!